I wish I could take credit for the quote above, but it came from a great presenter I heard at this year’s AG Bell Convention, Dr. Sarah Wainscott (see my notes from her presentation, “AVT Model for Families Transitioning from Visual Language” HERE). Back-to-school time is upon us and, for many students with hearing loss, that means an exciting year full of learning and growing in mainstream classes alongside their hearing peers. Many students may be mainstreamed all day, others for most of the day, and some for a few classes or “specials” — whatever the situation, what does it truly mean to be included in a classroom community? Inclusion, as Dr. Wainscott stated, is not a matter of plopping a child with hearing loss in a desk in the same room as other children. 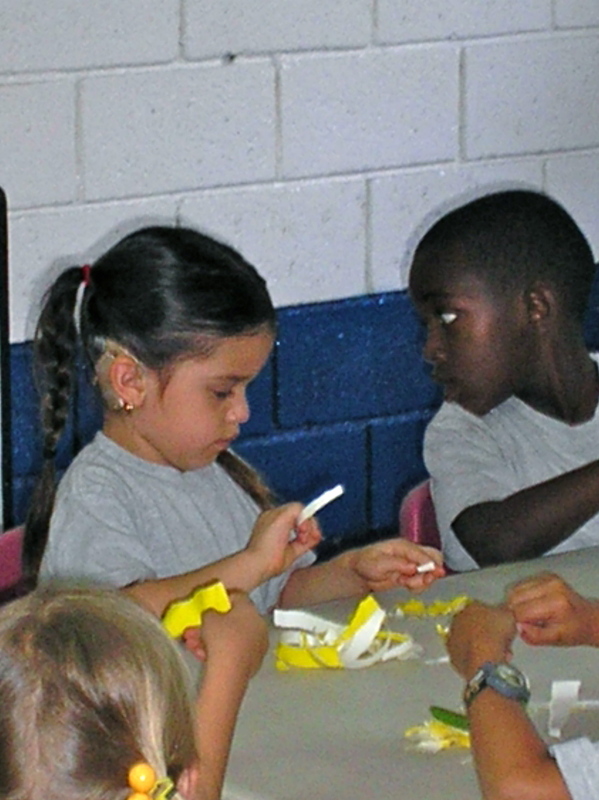 Inclusion means giving our students with hearing loss the language and listening skills they will need to be on-par with their hearing classmates, and the self-advocacy skills to make their needs known. Inclusion also means giving our student the social skills to be integrated members of their classroom, skills like manners, how to make friends, and the ability to initiate and join in play. What are the hallmarks of an inclusive classroom community? What skills can we give our children with hearing loss to help them in the mainstream? Above all, stay calm and positive about school, even though, as the parent, you may be shaking on the inside. YOU set the example that education is a positive endeavor! This entry was posted in Elizabeth Rosenzweig MS CCC-SLP LSLS Cert. AVT and tagged Advocacy, Children, Education, IEPs, Parents, Professionals, Social-Emotional. Bookmark the permalink.